GoXtra News: e.tv stars to dazzle the Soweto Festival Expo! 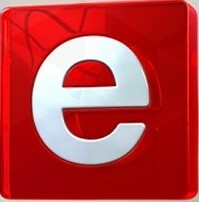 e.tv stars to dazzle the Soweto Festival Expo! Gauteng, stand up! Join e.tv for another unforgettable experience at the Soweto Festival Expo on Saturday, 21 September from, 12PM to 8PM. The NASREC Expo Centre will turn into a spectacular scene when the channel’s personalities take over the stage to entertain fans from across Gauteng. Audiences should expect free entertainment by celebrities from a variety of e.tv shows. Fans are in for a memorable fun-filled weekend with their favourite e.tv personalities. The e.tv stand boasts a series of activities ranging from dance performances by Soweto’s Finest, WeDfy, Vintage and Tembisa Revolution to a spectacular poem piece by SA’s Got Talent 2012 winner Bothlale and on the Club 808 stage dance floor will be set ablaze by DJ Sue and DJ ZanD and for the we children we have Cool Cats. "The e.tv Kasi Tours initiative that was launched in 2012 has partnered with the Soweto Festival Expo 2013. Central to our brand philosophy is the much valued interaction with our viewers . We are constantly enlightened and inspired by the views they have about the e.tv brand and its personalities, every opportunity we have to spend time with our fans is special. This time around the audience will also get a glimpse of the Channel’s exciting developments,” says Head of Channel, Monde Twala. Durban, Bloemfontein, Cape Town, Polokwane and Nelspruit have had their opportunity to meet their favourite actors and presenters. Gauteng, it’s your turn to experience this wonderful and unforgettable sensation. Our next city is Rustenburg in the North West region from Friday, 25 to Saturday, 26 October 2013. Sandy Mokwena (Eddie), Joyce Scefu (Maletsatsi) Sello Maake kaNcube (Daniel), Brighton Ngoma (Quinton), Masasa Mbangeni (Thembeka), Siyabonga Shibe (Kila), Kagiso Modupe (Mangi), Marjorie Langa (Gloria), Mapaseka Koetle (Dintle), Gabisile Legodi (Gontse) and Abigail Kubheka (Gogo Nyathi). Amo Chidi (Reneilwe), Itumeleng Bokaba (Mampho), Samkelo Ndlovu (Lerato), Dumi Masilela (Sifiso), Mduduzi Mabaso (Suffocate), Elizabeth Serunye (Rose), Mpho Molepo (Fats), Tebogo Khalo (Puleng), Connie Chiume (Mamokete), Pam Andrews (Gail), Nolo Phiri (Niki), Sethlabi Taunyane (Kop), Peter Se Puma (Miles), Sandile Dlamini (Jafta), Dieketseng Mnisi (Caroline), Tebogo Selebogo (Findo), Paul Maila (Toolkit), Magi Williams (Cuba), Bonga Dlamini (Mangaliso), Molobane Mbatha (Victoria) and Thembsie Matu (Sis Bee). Zola Hashatsi, Phemelo Kabini, Thabile Ngwato, Ntokozo Molefe, Itumeleng Mashiloane, Mpho Sebeng , Lerato Kgalamono, Evan Creamer and Chanley Wong. Free Your Imagination with e.tv.